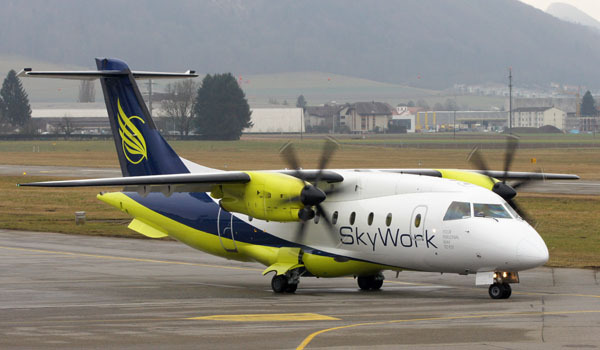 The SkyWork Airlines service now operates twice daily between London Southend and Bern and has been scheduled to easily allow business and leisure travellers to make a swift and hassle free day – or longer – trip to the capital city of Switzerland, SkyWork told. Flights now leave London Southend each day at 8.15am (arrives Bern 10.55am), with the return flight taking off from Bern at 6.40pm (arriving back in Essex at 7.30pm). The London Southend railway station is just 100 paces from the terminal building with up to eight trains per hour getting you direct to London Liverpool Street in just 53 minutes. The airport also promises its customers that they will wait for a maximum of 4-minutes to go through security, and those arriving with hand-luggage only can expect to travel from plane to train in just 15 minutes of the aircraft doors opening (30 minutes maximum if collecting luggage).